Download the paper today and learn how plastics can improve your cam- and roller-driven motion systems. Did you know you can tint chrome? For years, small rechargeable lithium-ion batteries have reliably supplied billions of portable devices with energy, but standard rechargeable batteries are only marginally suited for high performance. To raise the energy density, you need to increase the voltage or the capacity, and that is where traditional electrode materials and electrolytic fluids reach their limits. 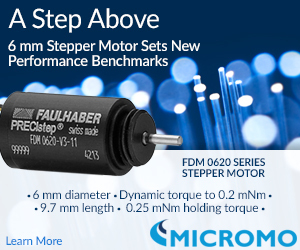 See how the FDM 0620 series is setting new standards for stepper motors. Learning how to set up and program a collaborative robot -- or cobot -- no longer depends on real-life access to a robot or a training class. Now everybody with a desire to learn the concepts of cobots can log in to the Universal Robots Academy and get the introduction necessary to master basic programming skills. Become a robot programmer in only 87 minutes! A father-and-son team in the START-UP NY program in Buffalo, NY, have invented a liquid metal printing machine that could represent a significant transformation in manufacturing. A breakthrough idea five years ago by former University at Buffalo student Zack Vader, then 19, has created a machine that prints 3D objects using melted aluminum. 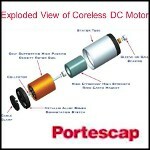 The nozzle design, which uses a pulsed magnetic field, is key. Printing objects in steel is in the works. The challenge in reducing vehicle fuel consumption for the U.S. Army is that few solutions exist that do not involve expensive retrofitting and fuel-reducing technologies. The U.S. Army Tank Automotive Research, Development and Engineering Center (TARDEC) is working on projects such as the advanced combat engine to meet the electrical power generation needs of future combat and tactical vehicles, a tactical vehicle electrification kit, and developing a single common powertrain lubricant. Choosing the correct material for your retaining ring or wave spring design can be a critical factor in the success of your application's performance and longevity. 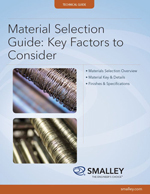 Smalley engineers have created a brand new Material Selection Guide that will help you through the selection process. Their easy-to-navigate visual walks you through the 5 most important factors to consider. Relying on the sealing and cushioning capabilities of a super-soft thermoplastic elastomer (TPE), a small, innovative medical company has addressed a long-standing problem in procedures involving sedation by creating the first nasal-only alternative to the standard full-face oxygenation and ventilation masks. The mask design features a tricky-but-critical TPE cushion that is over-molded onto the PP structure. 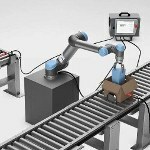 Learn about precision torque feedback for robotic arms and co-robots. Eighty percent of all hydraulic systems failures can be traced back to contaminated fluid. 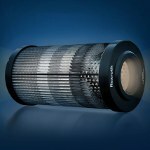 The fifth generation of filter materials by Rexroth protects hydraulic systems and reduces the operating costs. This is the first time a manufacturer has equipped all filter elements in standard sizes with an electrical conductive fleece filter medium by default, so the risk of electric discharges in connection with zinc- and ash-free hydraulic oils is reduced. Each discharge can burn tiny amounts of oil and reduce the service life of the medium. Discharges can also burn holes in the filter layers. The new material also increases the dirt-holding capacity, absorbing up to 50 percent more particles and prolonging service life by the same value under constant operating conditions. 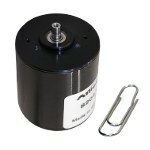 The new 28-mm, 24-V ResMax 28 brushless motor from Allied Motion is engineered to achieve very high speed (up to 90,000 rpm) with great dynamic responsiveness (0 to 50,000 rpm in only 20 ms, unloaded), exceptional operating life (30,000+ hr at 40,000 rpm average speed), maximal efficiency (up to 90%), rated power of 46 W, and the ability to operate in an oxygen-rich environment. The motor is equipped with integrated Hall-effect sensors to provide commutation information and a NTC thermal sensor to monitor motor temperature. Although designed for medical ventilator and respirator use, the ResMax 28 is also ideal for any application benefiting from its high speed and high dynamic performance. Customizable electronic drivers available. Edge welded metal bellows allow for flexibility in axial, angular, and parallel offset motion and provide the most stroke in the smallest amount of space of any bellows technology on the market, by reaching 90% of its free length. BellowsTech can customize size, shape, material, weight, length, and mounting connections to customer specifications. Bellows can now be purchased directly online. Laser Services, an ISO 9001:2008/AS9100C and ITAR registered laser job shop, has purchased a customized, fiber-guided, high-power laser from TRUMPF. 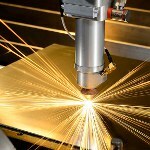 Benefits of the new 2-kW YAG laser include: greater beam power for cutting highly reflective, non-ferrous materials such as copper and aluminum up to 1/4 in. 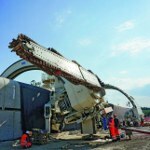 thick; hole drilling as small as 8 mils; fiber-guided positioning to allow for finer, less variable cut lines; less beam variability for higher yields; deeper/stronger welds for reliability; and greater range of motion and beam articulation for handling larger sheets and more complex patterns. Various shapes and sizes of stainless steel can also now be manufactured, including coils and springs. Welds can be made in surgical tools that are so flawless that very little post-production processing is required. Push the boundaries of design. 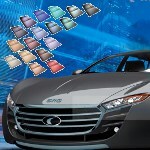 SRG Global, a leading global manufacturer of chrome-plated and painted plastic parts for the automotive, commercial truck, and household appliance industries, has introduced its G-Coat tint-over-chrome process solution. The G-Coat process delivers distinct metallic surface finishes for both exterior and interior applications and regularly improves paint adhesion to any chrome-plated plastic part. It offers nearly unlimited custom color options, including a high-optical-density deep black finish not achievable by other technologies. The process also provides enhanced corrosion protection and fingerprint resistance and meets multiple automotive OEM performance standards for basecoat and clear-coat paint systems. Aurora Flight Sciences recently tested a full-scale SideArm technology demonstration system for DARPA that repeatedly captured a Lockheed Martin Fury unmanned aerial system (UAS) accelerated to representative flight speeds via an external catapult. The system handles UASs up to 900 lb. GE is taking the world’s largest jet engine and turning it into a power plant. The machine’s beating heart comes from the GE90-115B, which is the largest and most powerful jet engine, capable of producing 127,900 lb of thrust, according to Guinness World Records. The electricity generator, which GE calls LM9000, will be able to generate a whopping 65 megawatts (MW).